As previous reports that SNH48 through its official website has announced the details of the implementation and the fifth Request Time concert ticket. The event will be held on January 19, 2019 in Guangzhou Gymnasium, Guangdong, China. In the details of the implementation, besides SNH48 GROUP, it will feature 50 of the best songs chosen by fans, the announcement of a new 7-members for sub unit, written on the website, there will be one song to be announced there, SNH48 GROUP 2nd Team Shuffle. SNH48 GROUP The 2nd Team Shuffle will be held at the Request Time straight after the Concert done. Previously, SNH48 held a large-scale group reshuffle the first time at the fourth Request Time concert in February. 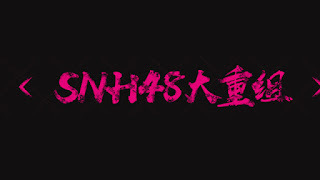 If yesterday only the SNH48 group was the parent of the shuffle, the difference between the second SNH48 reshuffle would involve five groups including BEJ48, GNZ48, SHY48, and CKG48! 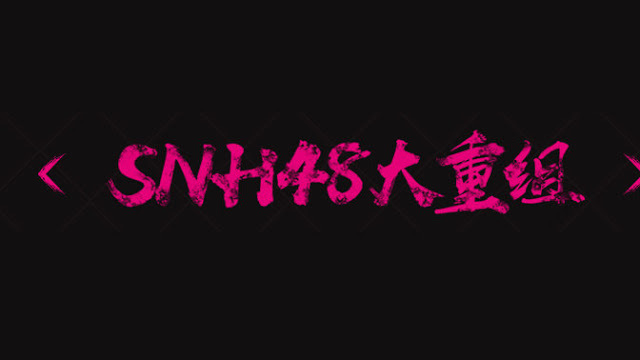 Since 6 years of existence, SNH48 GROUP has become a leader in China by forming sister groups in four cities. Industry leaders are entering a new stage of development, where now stars (idols) can be born from a variety show. To continue to produce good and original works, SNH48 GROUP is determined to continue to lead and have a strong influence as the biggest female group in China. Therefore, management Shanghai Siba (STAR48) will conduct a large scale reshuffle of the teams that have been formed. Now, the popularity of each of the five groups that have existed is not balanced. SNH48, BEJ48, and GNZ48 still dominate popularity, while SHY48 and CKG48 as new groups may require faces from their seniors to be successful in this industry. CKG48: Team C, Team K.
Some fans argue about this second shuffle plan. The possibility of the CGT48 sister group will be announced at the concert and will have Team CII. There is also a member of the STAR48 Overseas Audition audition. The formation of a new team and the dissolution of the team are also still waiting.